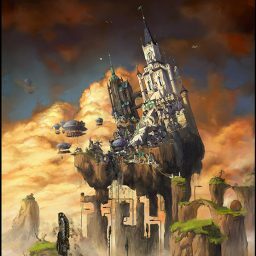 I talked before about the entry in the Unearthly Challenge. 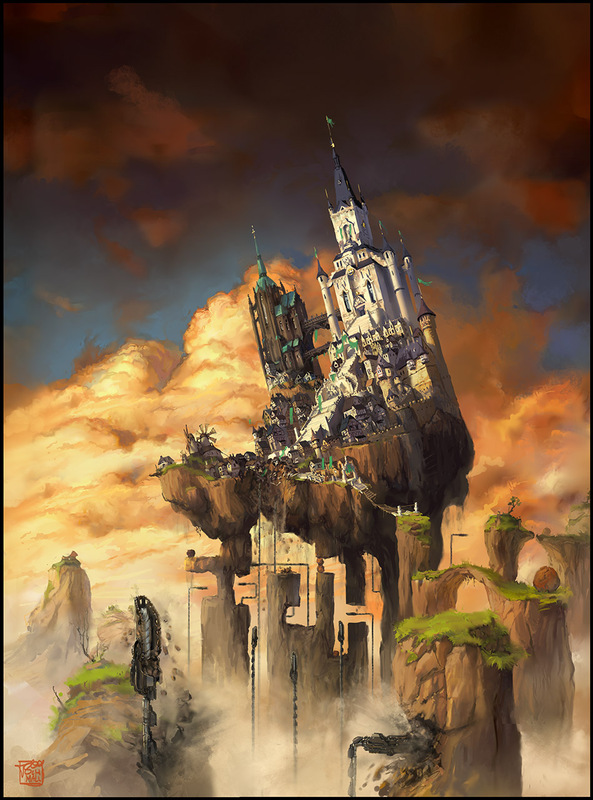 Our team could not finish the 3D version – it’s sad, but there was not enough time. So I took the whole thing into 2D. Interesting experience in a way. 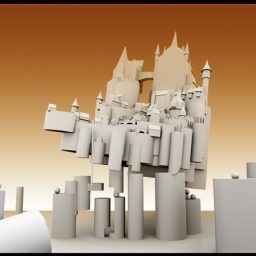 It has the disadvantage that we really started with 3D in mind. So we were a bit restricted with the ideas – it had to be doable in time, and it had to be logical (no weird 2D trickery). 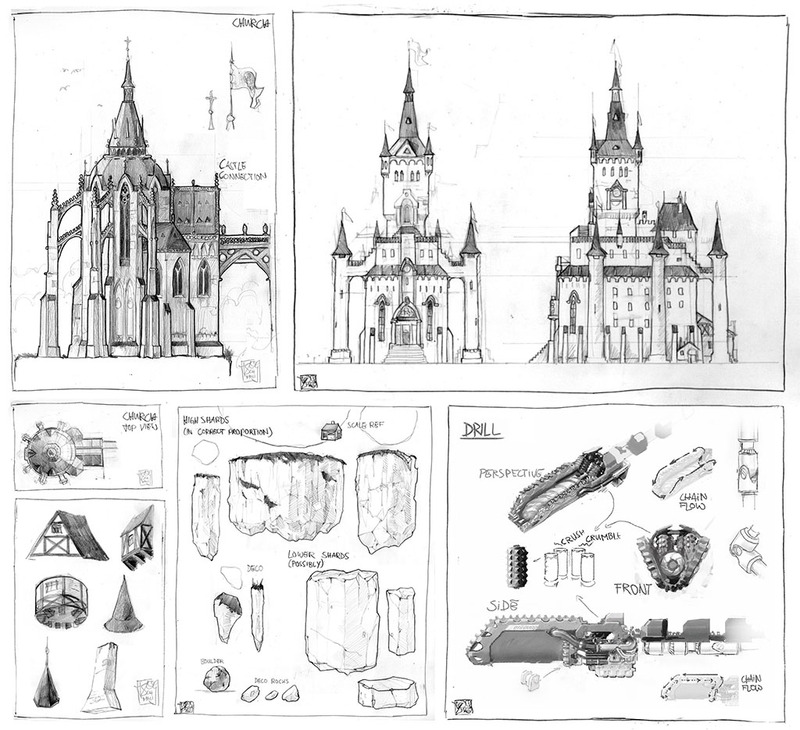 Then again – since I designed out all the separated parts for modeling, I had working designs when starting to paint. I wish I had one more day – but I made it just in time. My fav of the contest is this one by Skadi. Now here is just hoping the judges wont take too long. 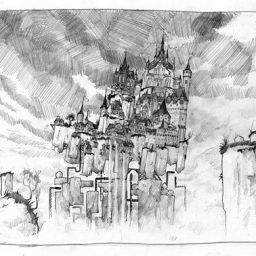 Final Image of the imaginary cityscape with a Boulder-dash twist. So here some screenshots as explanation. 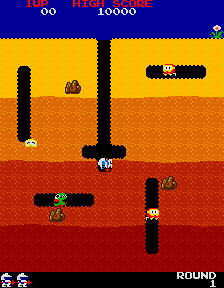 This is Dig Dug, the main game influence. 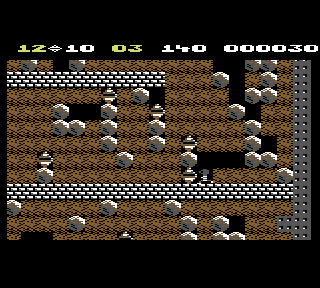 Also the C64 game Boulder Dash - thats where the boulders are from. 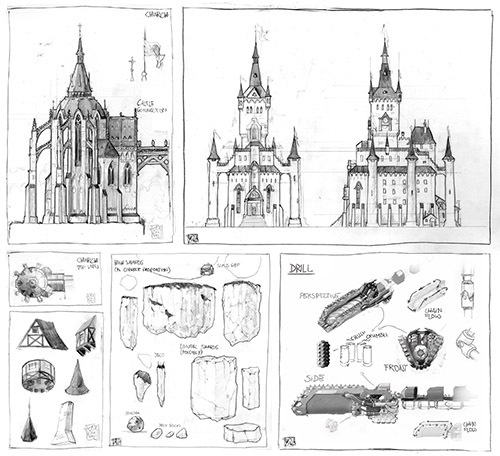 The modeling sheet - showing the parts. 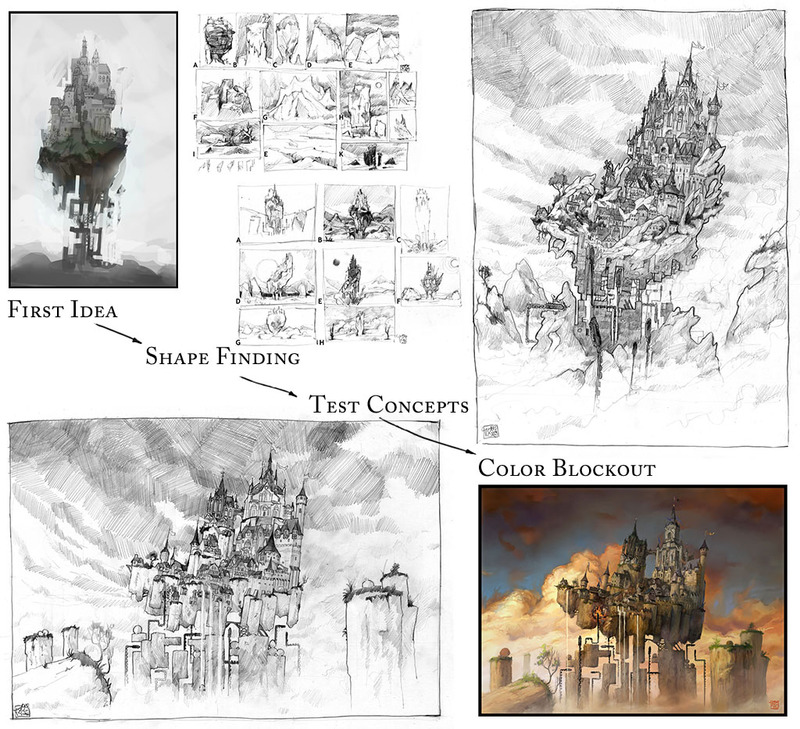 This is the sketches sheet - showing the progress.